Scarlatti and Monk: a comparison between Domenico Scarlatti and Thelonious Monk, two composers who lived 200 years apart, yet who share some common traits. What do Domenico Scarlatti (1685-1759) and Thelonious Monk (1917-1982) have in common? Not much, you might say at first. Yet I think these two piano geniuses would get along just fine together. Both of them were what we might call “keyboard players” today, since Scarlatti played on and wrote for the harpsichord as well as the earliest pianos, while Monk played the modern piano exclusively. They were both known as being among the greatest players and composers on the instrument in their day. Each one had a style that was personal, unique and instantly recognizable. Both made use of unusual harmonies and modulations. They both primarily composed in short forms; Scarlatti wrote 555 solo sonatas mostly in binary (AABB) form and Monk wrote many songs and instrumental pieces in song form, for piano (which were, and still are, also played in small and large ensembles). Both are a lot of fun to play and playing them together invites the comparison. Even with this in common, there are still so many differences. For one thing, there was no mass audience in the eighteenth century as there was in the twentieth. 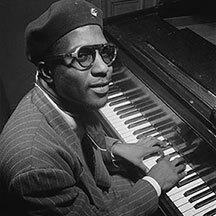 Monk had the benefit of reaching millions through recordings and on radio and television and was admired among musicians and audiences. 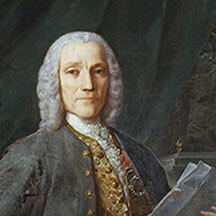 Scarlatti was hired as a composer and music teacher at the court of Spain, so a much narrower audience could hear his music. He did succeed in publishing many of his sonatas during his life, but his music was not very widely known until later musicians brought it back. Today he is a popular as ever. They don’t sound anything like each other and you would never confuse one for the other. Yet you can always identify them by their sound. I feel that they share a musical spirit and an approach to the piano that is personal and original, each in his own style. Both of them were innovators. There are moments in Scarlatti’s music that sound like the music of a few generations later. The entire sonata K. 208 in E major sounds to me like a message from the future. For another example, there are 8 measures in the B section of his sonata K. 394 in E minor, which sound so much like Chopin that I can imagine the unborn soul of Chopin visiting Scarlatti, sitting next to him on the piano bench, listening with closed eyes and nodding in agreement at the sound. (It is at 3:50 and again at 5:44 in the Maria Tipo recording, below.) Monk was one of the first be-bop players, but he soon left that style behind and founded his own style that continues to inspire players. Both of them had prodigious piano technique which is reflected in their compositions. While that can be said of any great composer, these two have something special in common, a kind of rhythmic attack. The piano is a rhythmic instrument. I like to think of it as a very smart drum. There are moments in Scarlatti and Monk where you have to hit the keys really hard, such as in certain flourishes in compositions of Scarlatti and in many of Monk’s solos. Even though their styles are two centuries apart, Scarlatti and Monk each have a unique personal sound that makes it interesting to compare them. I hope there is a musical heaven where they would have met and played for each other, which is why I like to play their music together.